hi , mi game Shyminon Terra is ready to be played, the game is a 2d platformer game , is in html5 so you can play it in your browser. The game have an auto-save system that way you will never loose your progress. Here is the link to mi website , there is the game https://chiegames.com/index.php/shyminon-terra/ If you want to publish your game leave a comment here , send me your embed code and i will publish your work. Hello guys, i'm new on this page, and need some help with coding the server of a multiplayer online game (one like slither.io ), so i started doing the server with socket using the tcp protocol, but i don't feel that is the right way, if someone know's about directions or a book on handling multiplayer connections, streams, good practives on creating players objects, no matter if i code a small server but i want to do it right. I hope i can get my answer and help others in their problems. sorry for my bad english . have a good day. Hello! I have been making this small puzzle prototype-game on my free time. It is called Numeropeli online. (Numeropeli means numbergame in Finnish.) I'm pretty sure there are real name for this type of game, (like chess, GO, backgammon) but i haven't found the one using google, so that's why the name of the game is kinda dumb. It is using node.js on backend, and it's using socket.io to connect to the server. It currently supports playing against random people, invite/host -game and playing against AI. I have been having fun playing with friends, it is kinda addicting too. The idea is, that players play in turns. The first player chooses the tile where the game begins. At each round, the players has to choose a tile from the line that the opponent has chosen. When you select a tile on your turn, the opponent must choose the next tile from the same column where the last picked tile were. The player with the most points wins. The next version contains: UX and UI updates, maybe whole rework (It feels bit wrong still) bug fixes (I'm pretty sure there are still bugs :D) Sounds (maybe) Stats system (wins, losses, avg, best points, game history, etc.) Leave button for games, if you dont want to play. Support for 5x5 tile games. Translations for other languages. Maybe make this an Windows Phone/Android application I would like to know what you guys think about it, are there some bad things, what should i change in the web design? Can you see any bugs? It looks like this on mobile Try it! 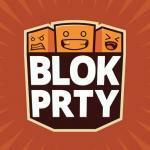 Blok Prty is a Tetris Attack-inspired race against the Internet to score the most points by matching blocks. Drag blocks left and right to create horizontal or vertical matches of 3 or more. As blocks are cleared, the ones above fall down to replace them. Matches of more than 3 blocks are called combos and earn bonus points. Blocks that fall down to create additional matches are called chains and earn massive bonuses. Everyone plays on a two minute timer. Race for the highest score in that time, and then find your name on the leaderboard before the next round is started. Play here: www.blokprty.com/play Known Issues: * Lots of gameplay bugs that are easily exposed if you're even a little good at Tetris Attack. Blocks can get into a broken state where they're displayed smaller than intended (or not displayed at all). The problem resolves itself when the game is reset in the next round. * The game is designed to work naturally on mobile, but there are some bugs with changing device orientation. Refreshing the page fixes the issue. But... * Refreshing the page or returning to the menu during gameplay resets your score. Doh! Would love to get your feedback. Tetris Attack was my childhood obsession so hoping others out there would enjoy an online spiritual successor. Hi, I need HTML5 Games Developer. I want you to develop HTML5 multiplayer games. PM me your Portfolio and your Quote. Hello, I am looking for a talented HTML5 developer to work on a online multiplayer game, unfortunatley I cannot reveal any details. The game will require services like users registration as well as allowing connecting with Facebook, Twitter and Google accounts as well. Its a online multiplayer game but players won't need to interact with each other in any way except for chatting but still they need to be on the same map. If you are interested please do not hesitate to contact me on my email adress: patron.bigone@gmail.com and we can discuss more about detail as well as the potential size of the budget. Please only serious offers.Thanks for your time. Cheers! Which JS engine for online game? ?